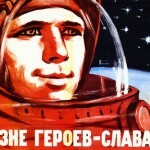 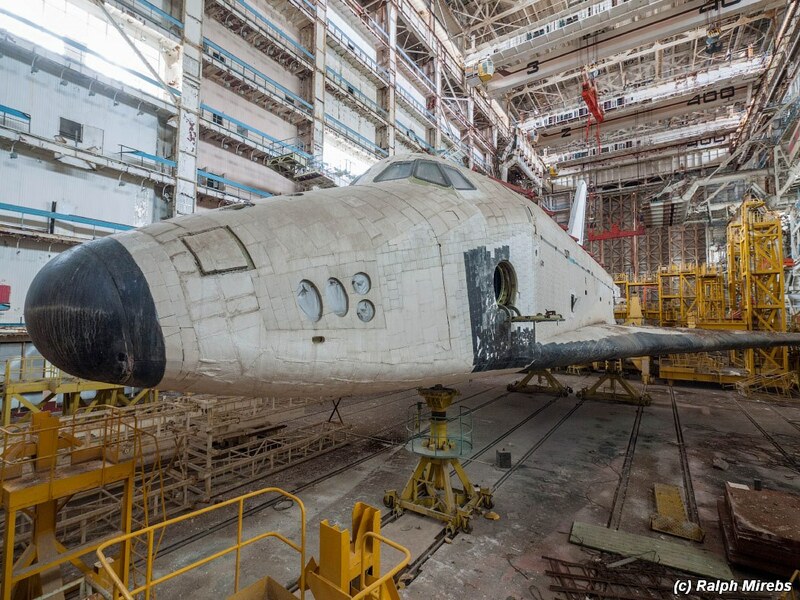 June 2, 2015, Baikonur Cosmodrome, the cradle of space exploration and the largest Russian spaceport, celebrated its 60th anniversary. 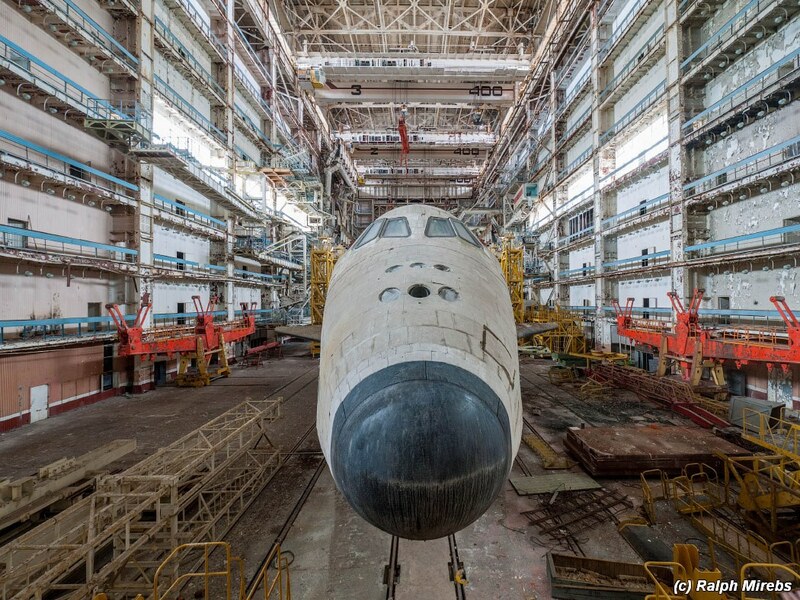 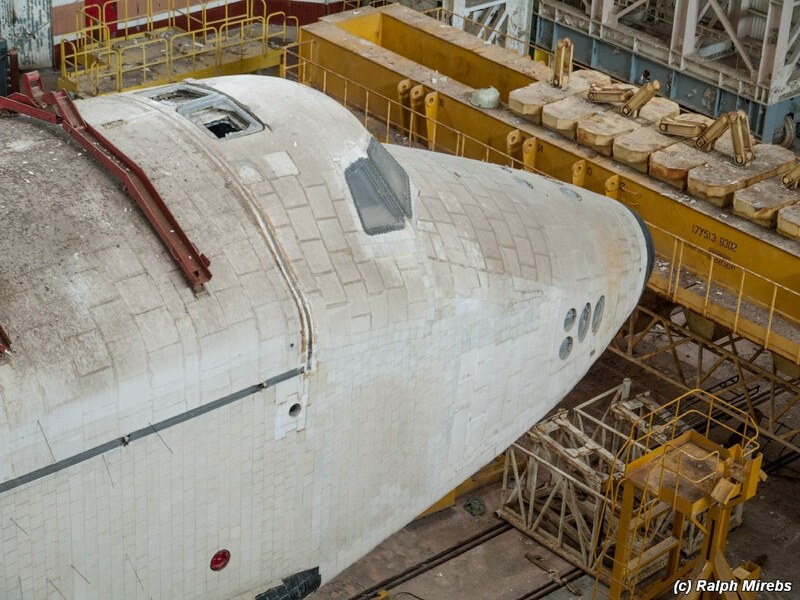 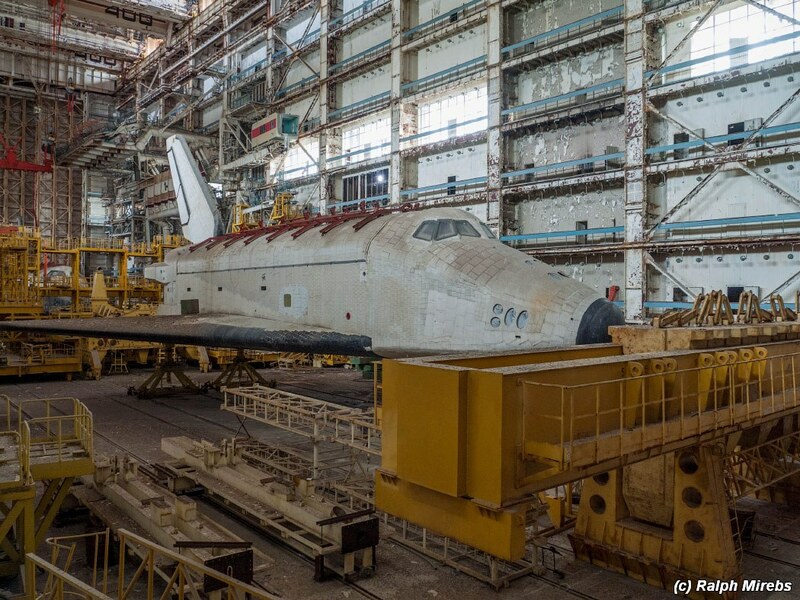 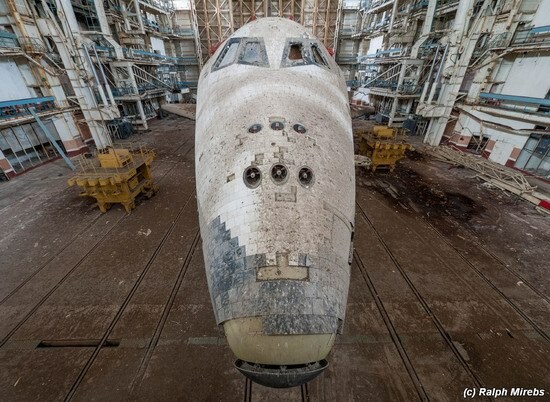 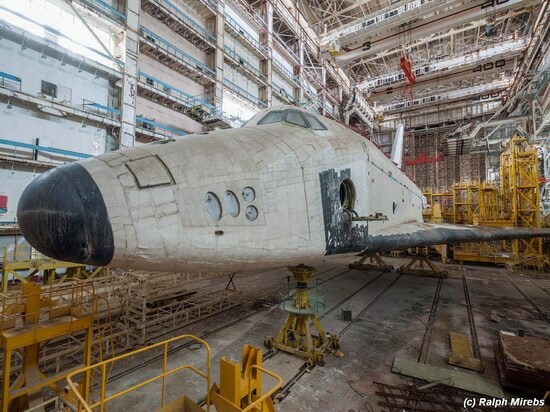 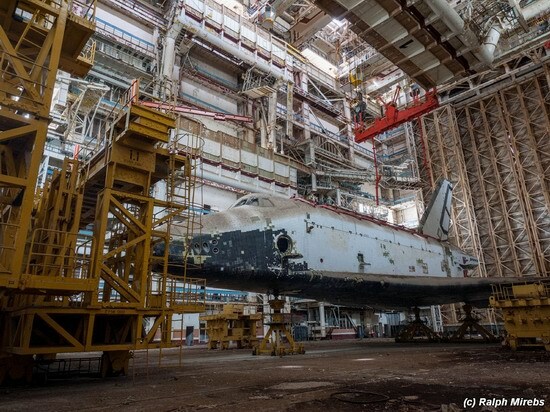 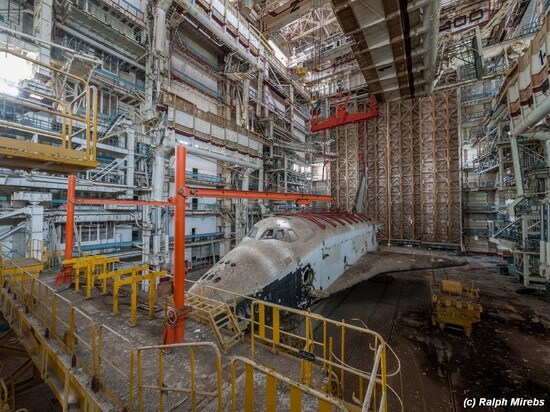 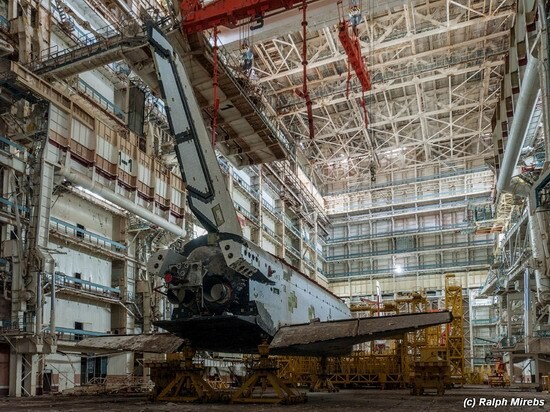 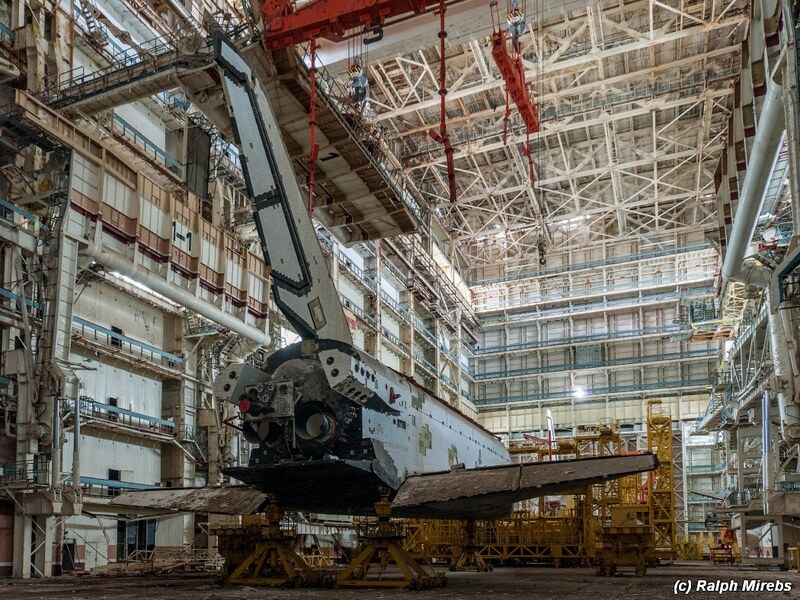 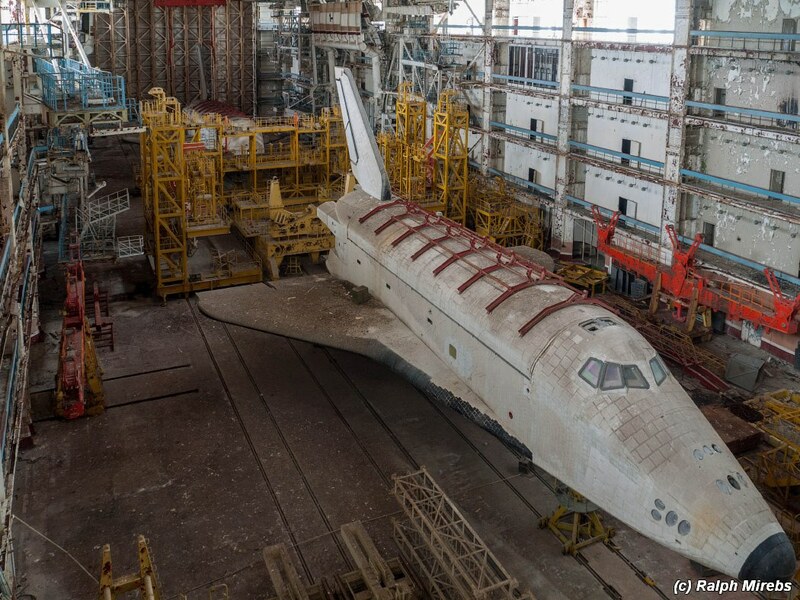 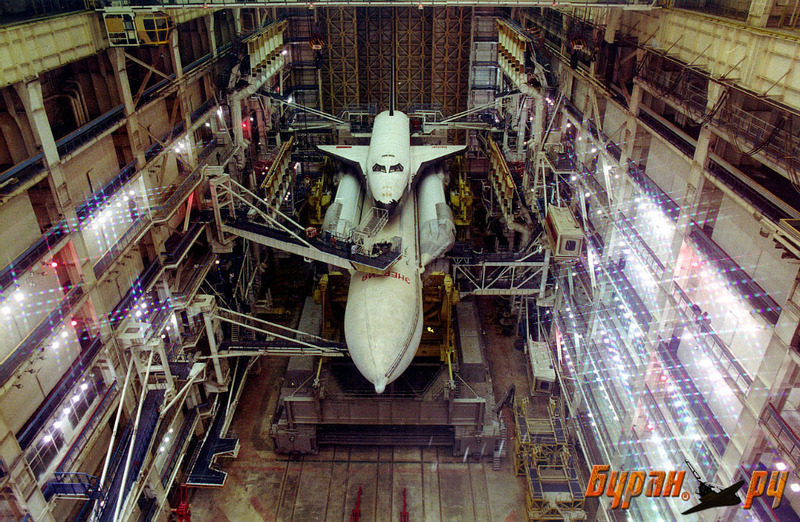 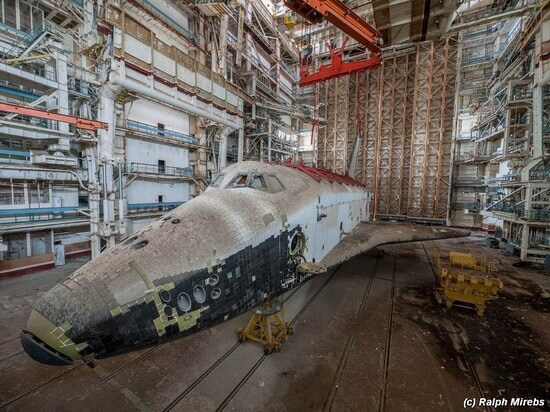 Over the years, a lot of different space vehicles were tested on its territory, the apex of which was the system of “Energy-Buran”. 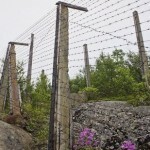 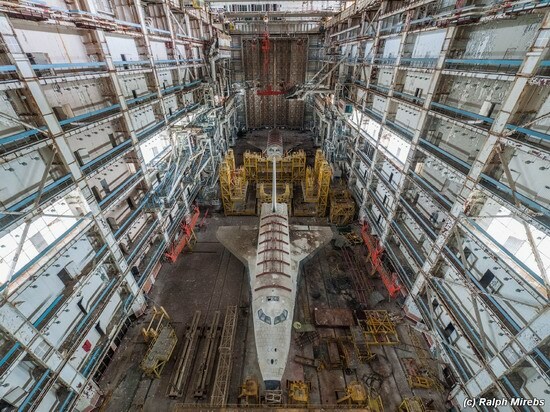 But history has chosen its path and the project died in infancy. 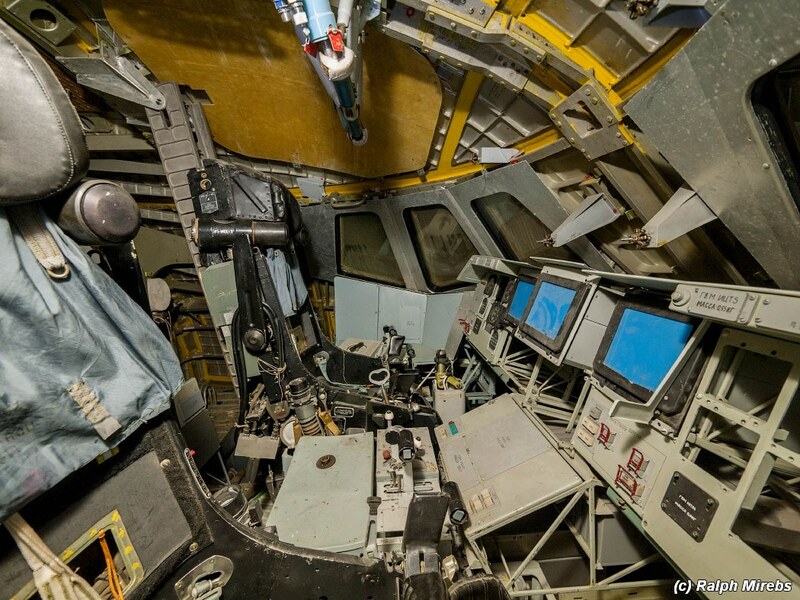 More than two decades ago, heavy sliding doors of an assembling and filling complex were closed cutting off two orbiting spacecraft from the sky. 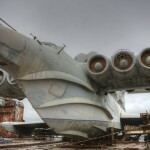 How ironic that the birthplace of these spaceships became their burial place. 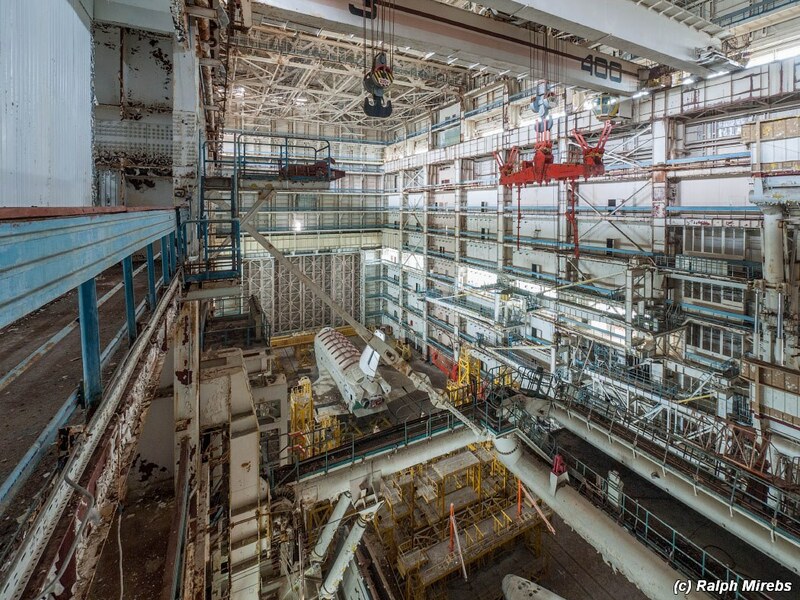 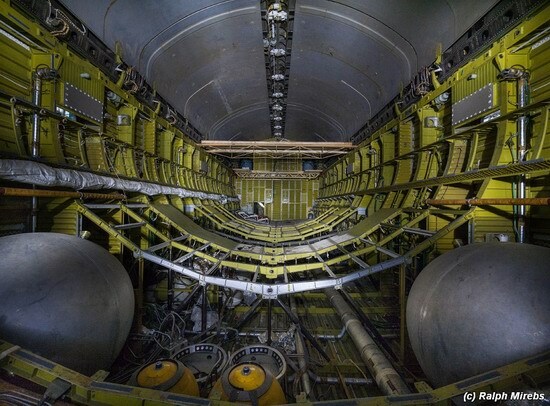 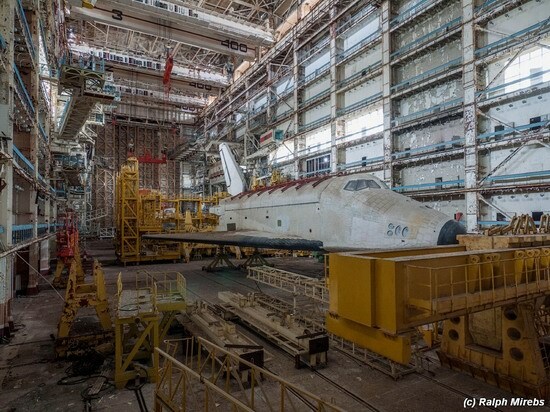 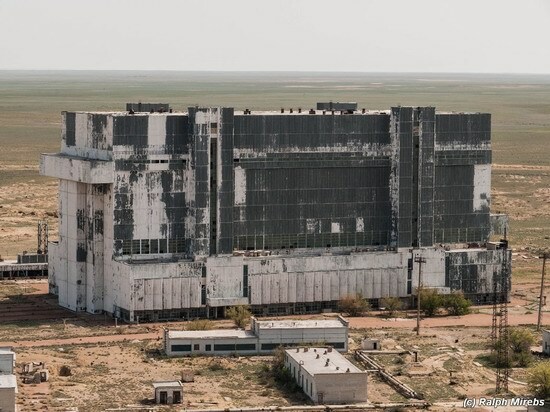 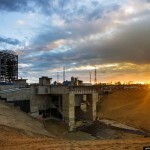 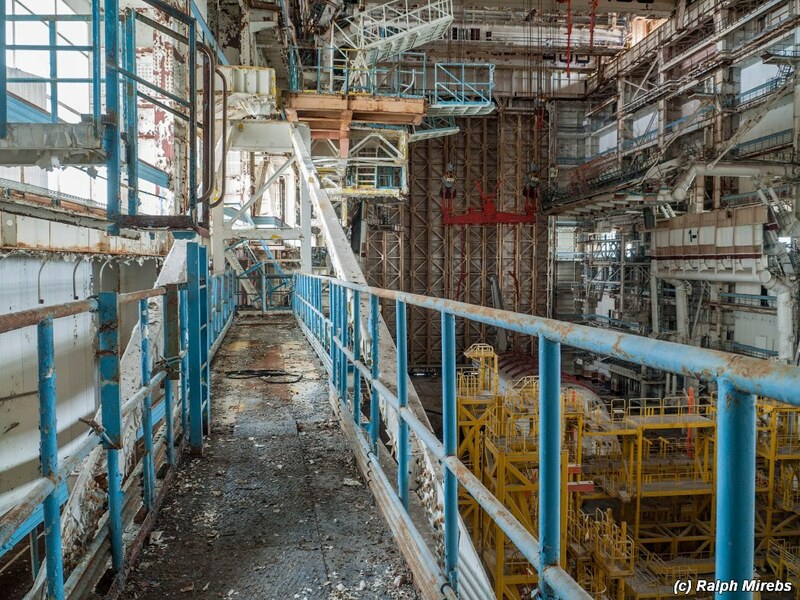 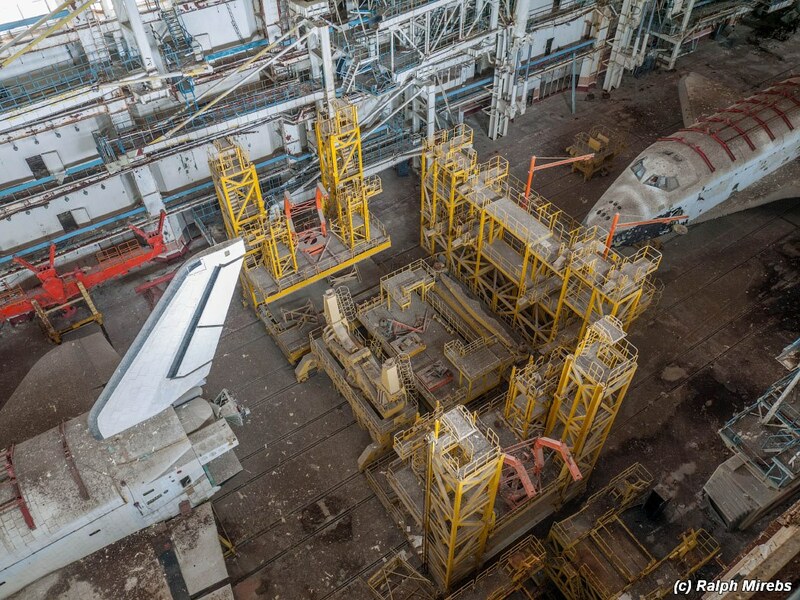 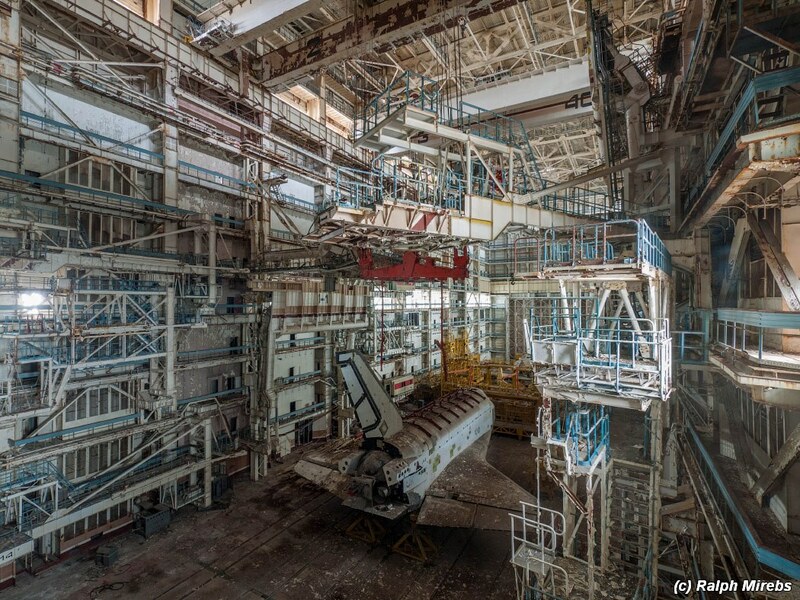 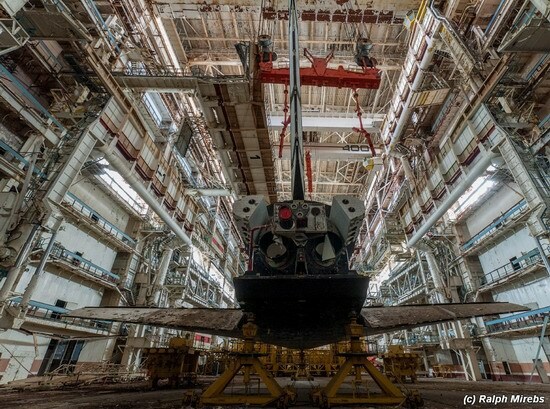 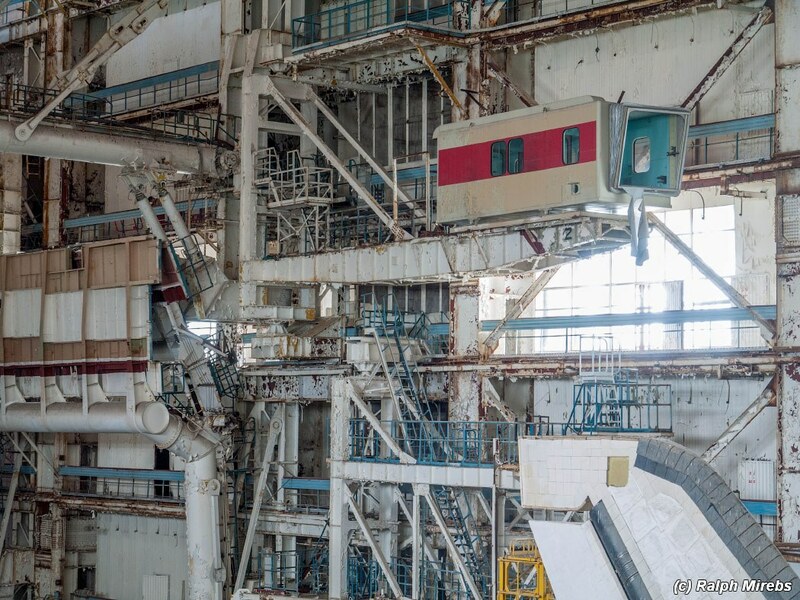 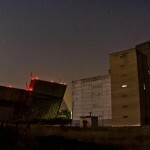 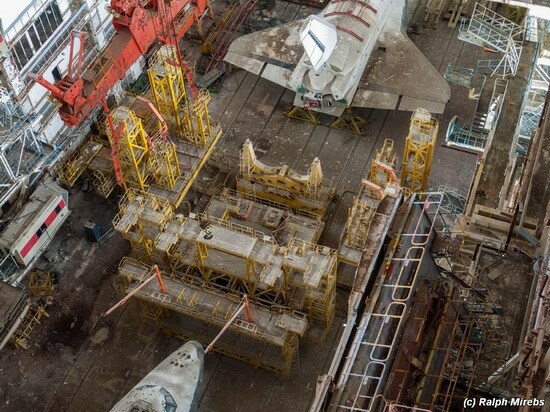 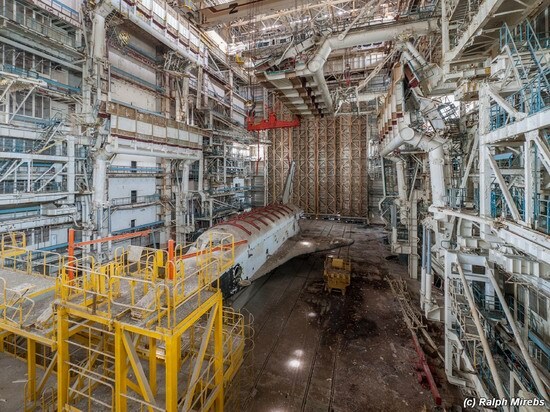 The assembling and filling complex is one of the largest buildings on the territory of the cosmodrome. The length of the construction is 132 meters, the height – 62 meters. 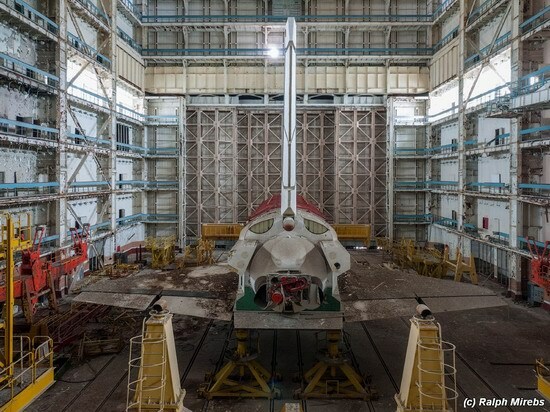 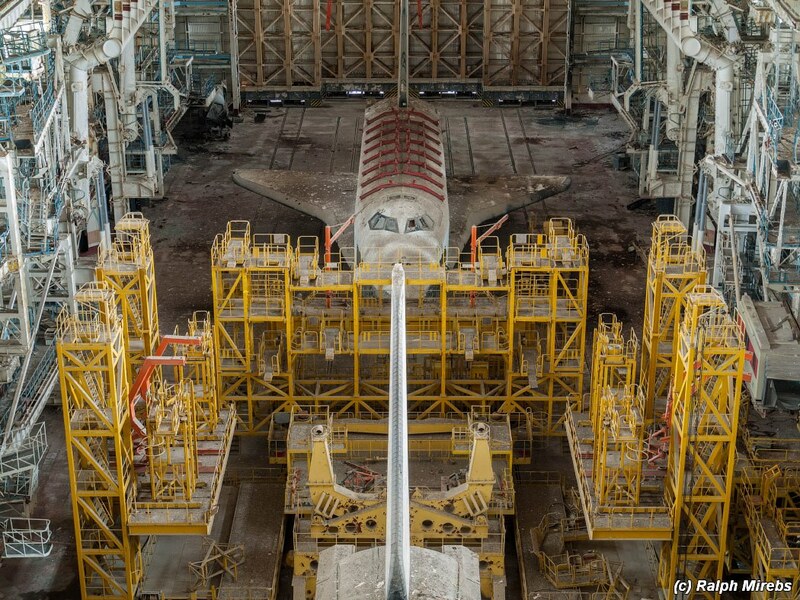 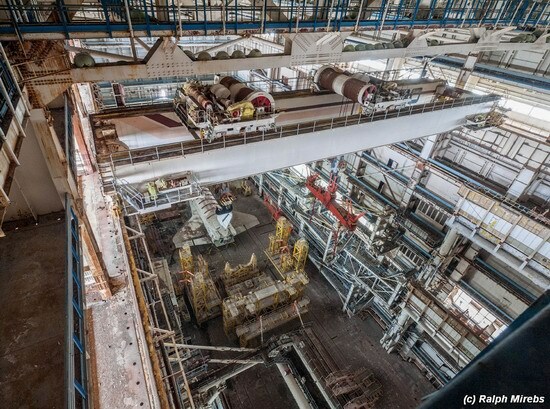 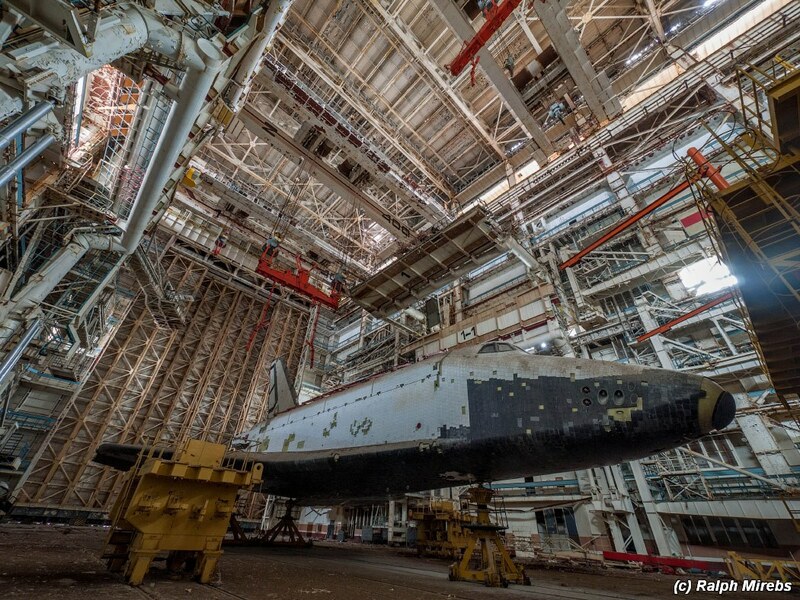 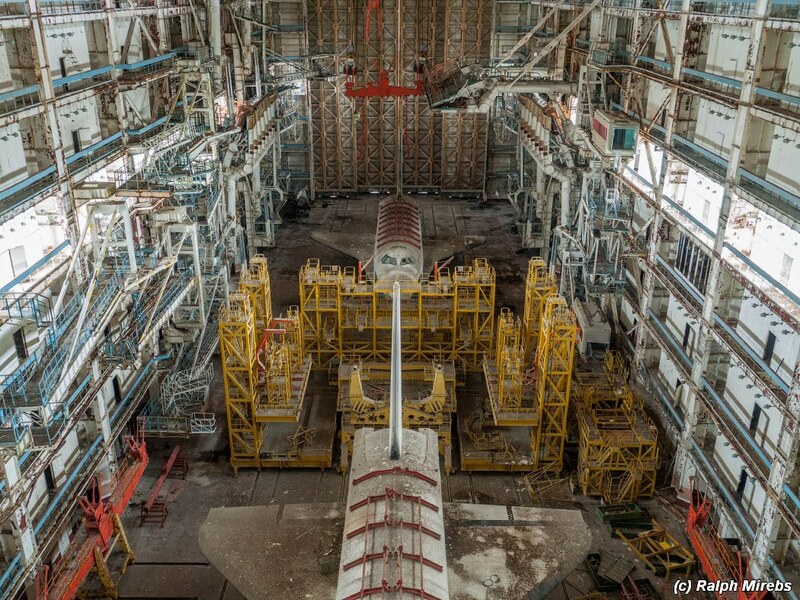 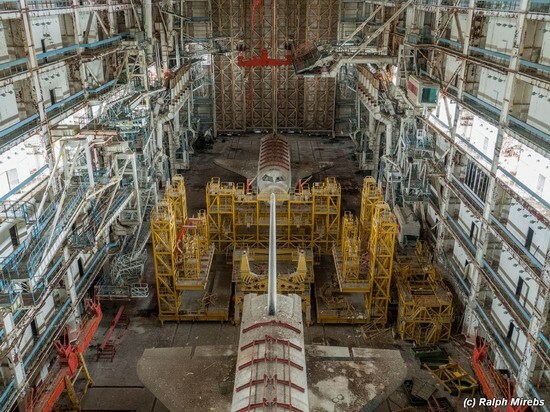 Currently, within the building, there are two spaceships, one of which is the second flying prototype “Burya” (“Storm”) and the other is a technological model OK-MT made for testing pre-launch operations. 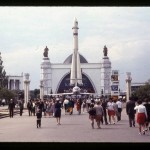 Photos by: Ralph Mirebs.